It was a very cold morning but that did not affect the enthusiasm of the kids as they were looking forward to an adventurous morning with Aunty Mphon. The day started with an exercise that involves the use of the mind and your ability to endure and think outside the box. A game called Paradigm shift which involves the use of optical illusion was done and different correct answers were given by the participants. 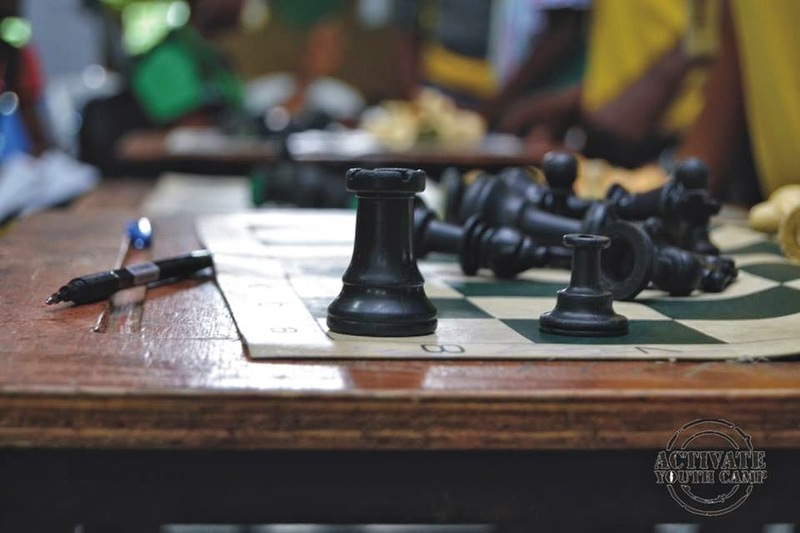 The aim of the game is to stimulate their mind and make them understand that we don’t see things the way they are, we see things the way we are. 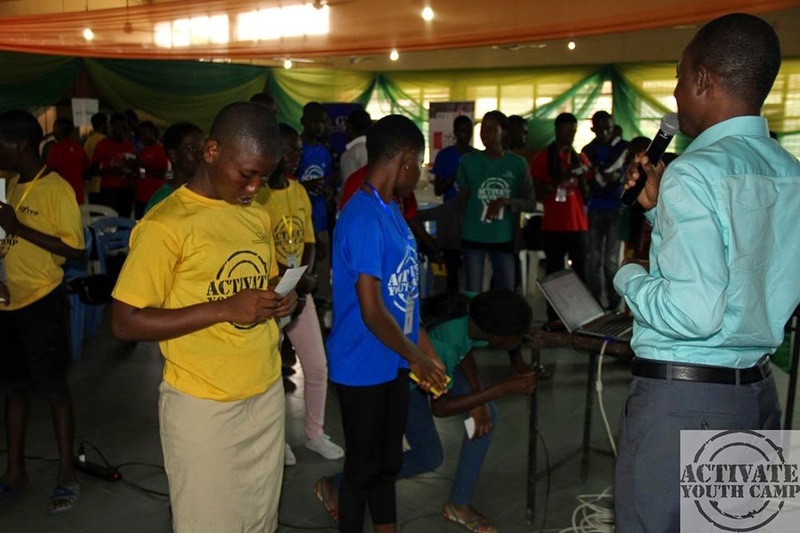 The participants were divided into groups and ushered to their various game points by their mentors and the lesson of the game was to emphasize that there is no barrier and that impossibility is nothing. The First Facilitator, Mr Lanre Olusola started his class with an energizer which includes bringing a participant out and asking other participants to say what they know about him/her. He later asked some kids to dance. The essence of this is to acquaint himself with the participants. The topic for this session is ‘Activating the power within’. Goals is one of the major requirement needed to activate the power within. 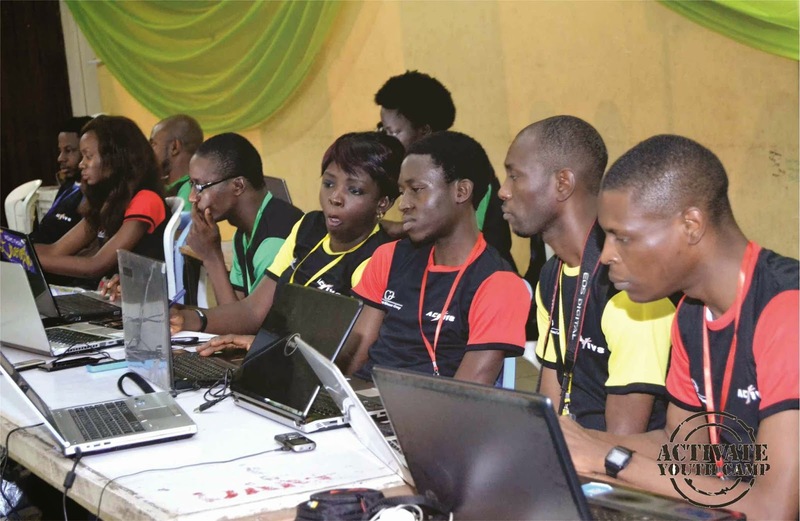 The participants were given an exercise that involves projecting into the future and imagine how they want to be in the next 50years (precisely 30th of July, 2064). Mr Lanre asked the participants to get a partner which they did and he asked them questions that will unveil the leadership within them. Questions like, What do I like about who I am?, What do others say they like about me?, What compliments would I make myself?…and so on. The questions were answered in their note pads and each participant was asked to read out the answers three times to their respective partner and the partners should reply with ‘I believe you’. Some participants were randomly picked and asked to share their goals with and the answers were amazing. 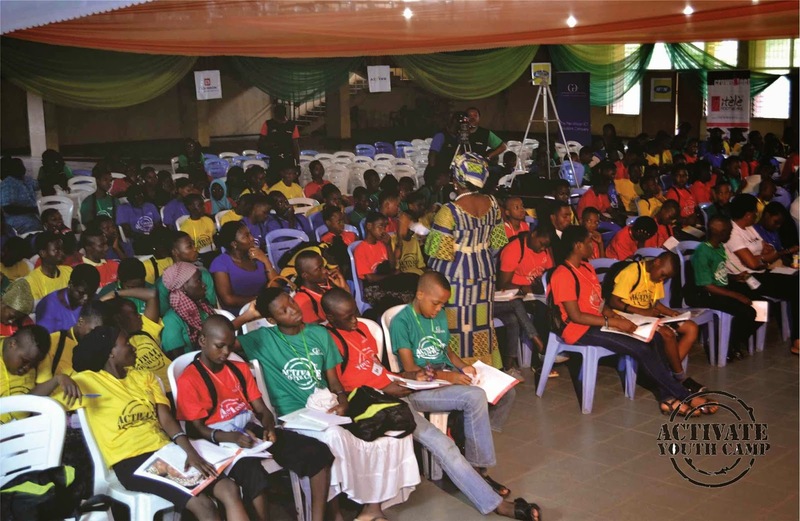 Not only are the participants young but they are intellectually alert, their answers were amazing and positive. He instructed them to remove their shoes and step on the written goals, close their eyes and imagine what they wrote getting fulfilled. Bold and positive declarations pertaining to the goals were said and they were asked to congratulate themselves. There was a change in their thinking at the end of the session, they believe the future is now and they were excited at the written goals and who they want to become. The second Facilitator, Mr Victor Paa Kwesi Mensah reiterated on the need to believe in your goals and be positive always. A quick recap of what was learnt yesterday was done. 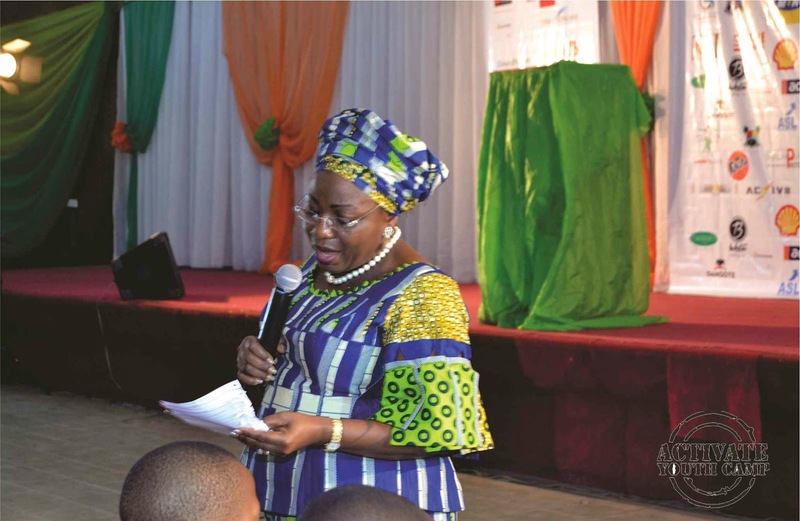 Gifts of books titled The egg and the poultry farm and the teach children to save summit Magazine, were given to the kids who answered his questions correctly the previous day. He explained how to relate perceptions with life by imploring the participants to ask their siblings, Friends, “Frienemies”, Parents, Teachers, and so on and ask them what they think about you. 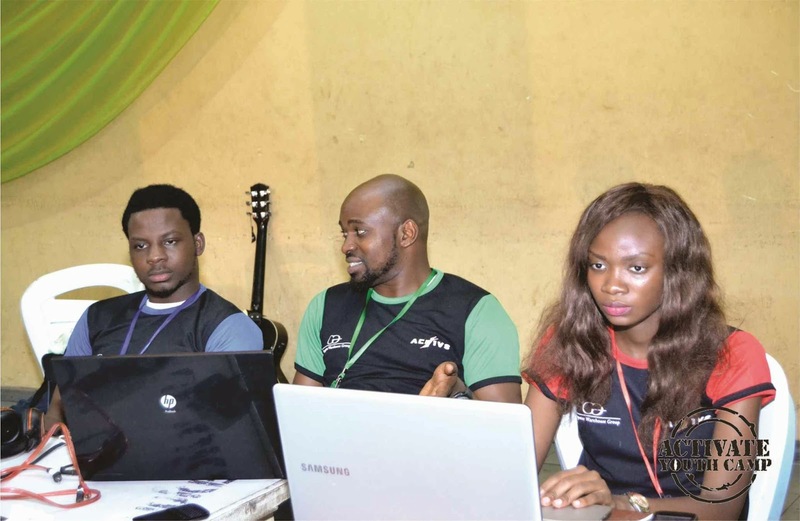 Even the mentors were not excluded from the benefits of the camp. Mr. Victor afforded us the opportunity to take the personality test. The morning started with much excitement after the children were paired into groups with their various mentors. There was an interactive session called Flashlight. The essence of this exercise was to get feedback from the participants on what they have learnt the previous day. The kids shared about their experiences from the leadership talks to the sports session and skill development. The essence of this is to help the kids refresh their memory while building relationships with one another. This session lasted for about ten minutes. Next was the adventure session led by Mpho, a volunteer of AYC 2014 from South Africa. The children were given a quest to interprete codes to help them find the clue to answer the quest successfully. All kids worked together as a team in relating the codes to produce results. There was a bit of confusion, nevertheless, the objective of this game was achieved. When the set time lapsed, Mpho explained more about the game. Mr Mensah introduced himself to the children. He asked the children questions in turn for his give-aways. The kid who got his questions correctly picks a number, the gift to be announced much later. He briefed the children about what they are to learn (about personality, making friends). He told the children that they are all participants in a movie and that they must play their part to be actively involved. The facilitator asked the children to list some of the qualities of a great performance. He also asked the children on what made the volunteer actors distinct from each other. He asked the children to list further questions they often ask themselves out of curiosity. The children were asked to put down these questions on paper. The essence of these questions is to help us answer the question of who we truly are. The facilitator explained that the aim of the session is for them to have a plan clearly written out by the end of the session. It is equally important for children to know how to be in charge of their lives. They need to be masters over their lives else they will continue to follow aimlessly. The essence of this exercise is to relieve the children of their problem (mental, physical and emotional). This is a meditation process to get them activated. In answering to who we really are, we must take the rule of twelve. The first twelve seconds must tell who we are, it is also a determinant factor of whether others will keep listening to us or not. Another activity ensued where the children formed lifeboat of three and five groups. In forming the lifeboat, they get to know one another, name, what they do etc. The facilitator asked the kids to ask themselves what they want to achieve at the end of the camp. A set of cards was shared to the participants for the Clarity 4D questionnaire. The kids were asked to give a review of the session and all responses were positive. These cards help us explore our personality and that of people around us. Personalities are attributes that makes a person distinct from another person. The participants were paired into groups to play the card game. First, the participants were asked to get to know one another. Then, a volunteer is picked from the group to present a card that best represents a participant of the group. If the cards match, then it means the group did well in networking. After the exercise, the participants shared what they have learnt about themselves and others within the group. First impression, although not 100 percent correct, gives us a certain perception about a person. In other to understand your personality, you must get into a state of mind. Personality is a way of responding to the world. Personality is different from behaviour. People’s personality put them in their default mode. Personalities can be used to describe the elements of nature such as air, fire, earth, water etc. In life, it is you against the world this is why personality is important to help us distinguish ourselves from others while learning to live amicably. Life is a series of connected dots. The dots in life are called situation. How you decide to respond to situation is known as Behaviour. The more you learn from the opportunities that comes your way and your response to it, the more you gain Wisdom. Children do not have weaknesses except the ones they create. What is your weakness today is your potential tomorrow. The kids assessed the report of their filled questionnaire. After reviewing the report, all participants were paired once again into different groups to further discuss their personality traits with others. Participants are allowed to comment on the report of others. The facilitator asked the children if their profiles represented them well or they have any observation or contrary view. He went further to explain the essence and usefulness of the clarity test to the category of participants who took the test. The explained that the children must ensure they make very good use of the information contained in the report to develop themselves. We should appreciate when people give feedback about us whether positive or negative. We should go back and put the feedback to use in building ourselves to be better. Paa Kwesi informed the children that the learning for his session will continue the next day. He promised to teach the children an action plan. Afterwards, he engaged them in a short exercise. He taught the participants that information is not to be kept, it is to be digested. After digestion, they must make a decision to be better. The children were asked to write out three out of the instruction given in their profile. They are to express this in a sentence/statement. Five minutes was allotted to the children for them to review all that has been said. These past 3 days has been incredible in every way! The spirit, love, camaraderie, teamwork, bonding and togetherness in camp is exhilarating. More was seen this morning as we had a quick ‘flashlight’ session where the children, facilitated by their mentors shared some of the things they’ve learnt in the past two days. 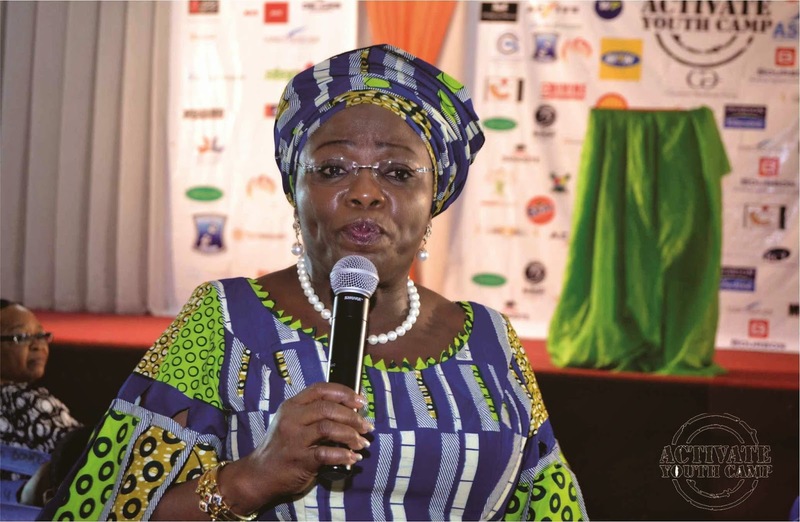 They spoke about activities of the past few days; like the …vision and goal setting session, their experience during the sport session, the new knowledge acquired in the skill development session and the myriad of snippets of wisdom gained from the former Deputy Governor of Lagos, Princess Sarah Sosan’s opening address on Leadership yesterday. My name is Victor Paa Kwesi Mensah, a Coach and Youth Development Practitioner. AYC 2014 gets closer by the day. 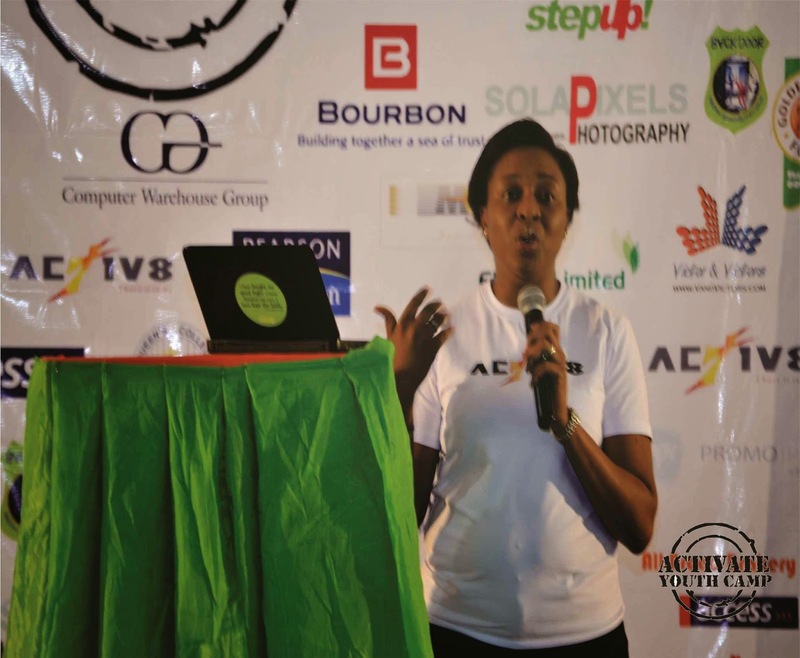 I am pleased that for this year, Victor and Victors (V&V) and Clarity4D Ltd. UK, along with Connoisseur Consults, will be teaming up with Annie’s Place in bringing to participants, the very best in personality and career development through our ‪#‎SPOT-On! youth development programme. Get ready, and see you all in Lagos. 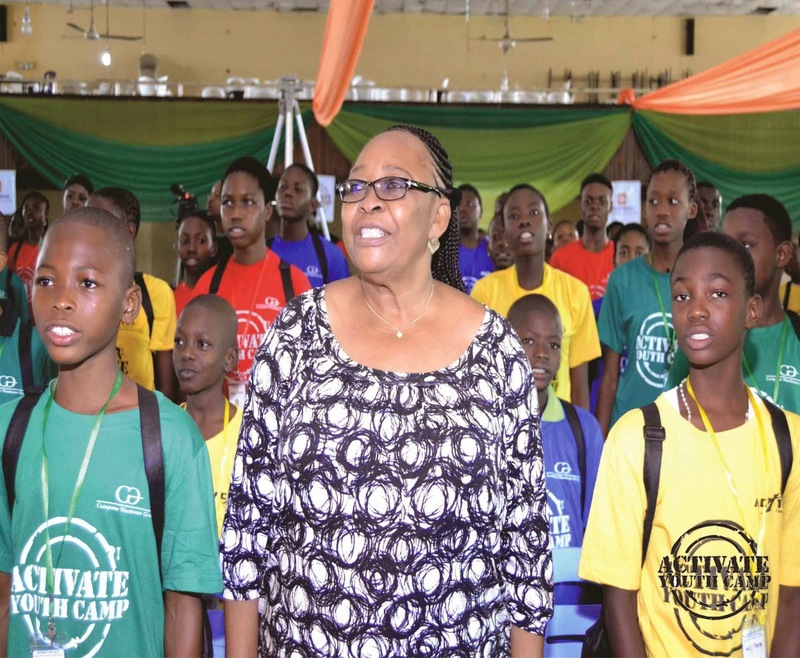 Finally the second edition of Activate Youth Camp tagged “Leadership from Within” started off on Sunday 27th July 2014 with the arrival of our wonderful participants from the over sixty (60) public and private secondary schools in Lagos, Ogun and Oyo states of Nigeria. 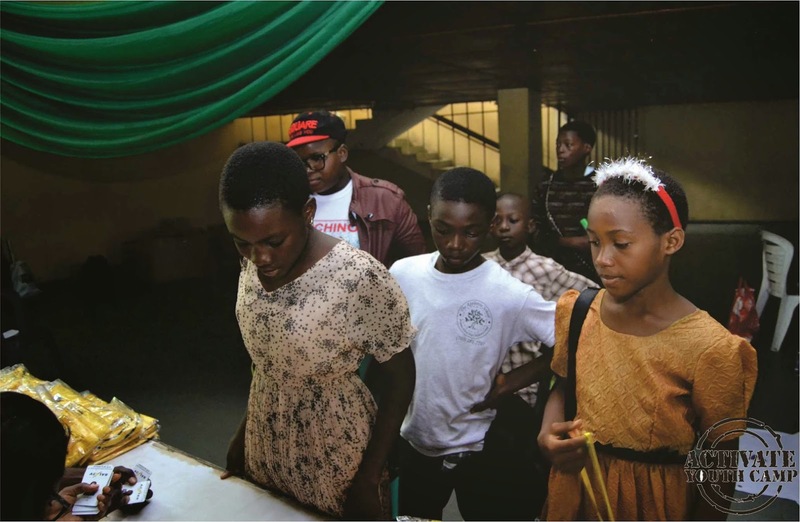 The look of curiosity and excitement on the faces of the teens as they made way to the four registration desks bearing the colours of the teams Amber, Emerald, Ruby and Sapphire. 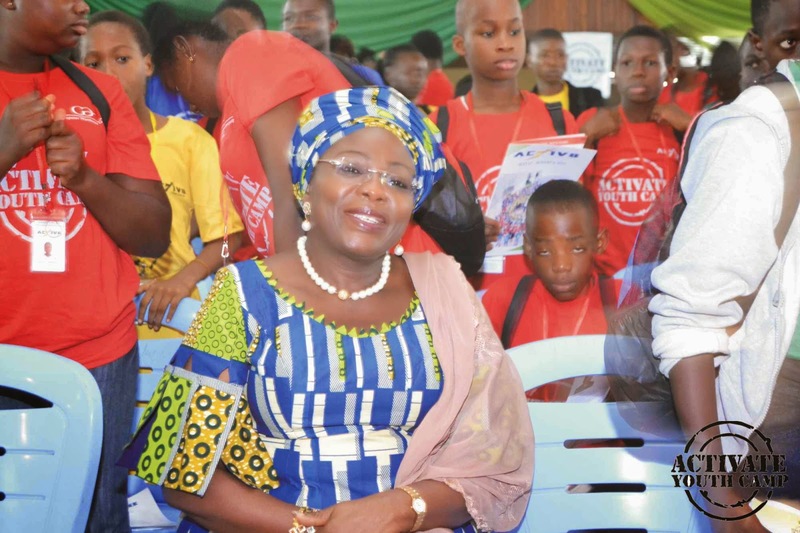 At the desks, each teen was given a branded school bag, an identification card, a pen, writing materials and two branded t-shirts. 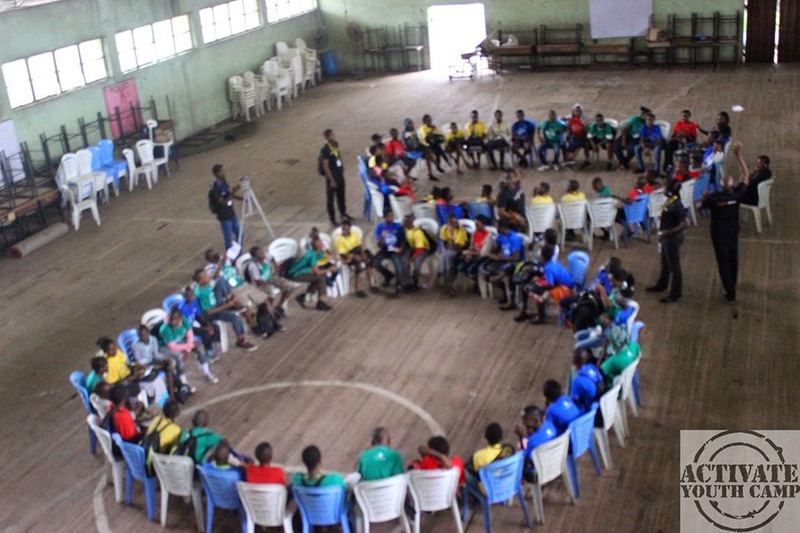 Immediately after the confirmation of registration the participants were allowed to bond with their peers from other schools so as to make new friends. Mentor Oluwaseun aka Mr. D engaged the teens with an icebreaker that enabled each teen to know the persons sitting on their left and right. The camp ground rules was read out to the teens after which lunch was served. The first session of the day was on Personal Safety by Mr. Taiwo Akinlanmi, a social empowerment advocate, child protection thinker and advocate. 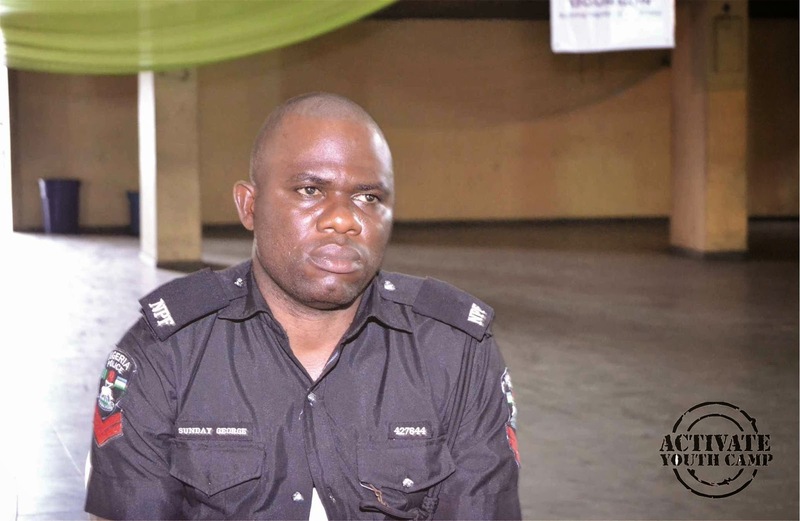 Personal Safety according to Mr. Akinlanmi is about how you protect yourself from harm and it is important for teens to protect themselves because sometimes those saddled with the responsibility become the abusers. The two laws of self-protection are 1. Be vigilante 2. You are a person of value. The teens were encouraged to pay attention to the kind of songs they listen to , the nature of people they associate with and know at all times that the opinion of others rank least in their life journey. 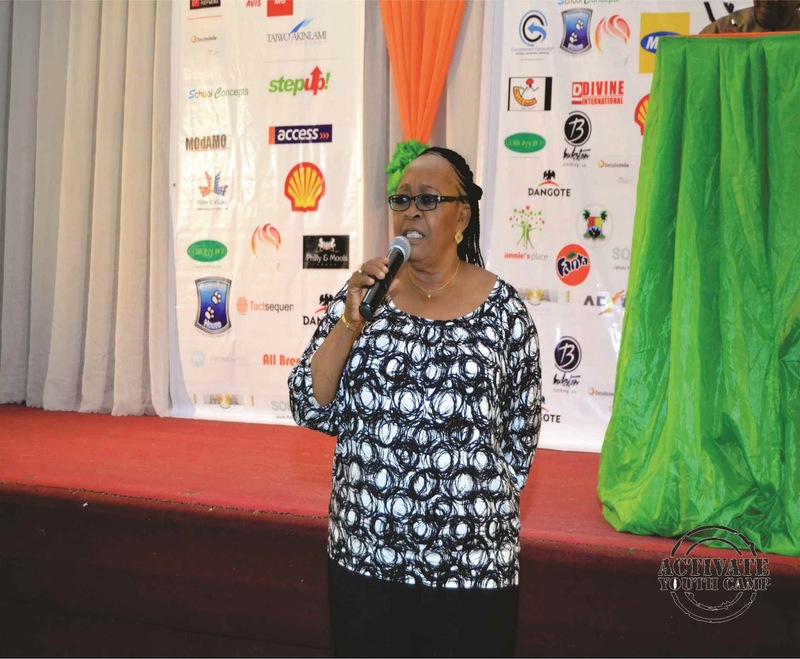 Mrs. Olukemi Sowemimo took the next session on Tact and Discretion. She defined a skill as the ability to do or learn something and tact is the ability to put other people’s feelings into consideration before doing or saying anything. Life skills like empathy, listening, money management, and self-management are needed to deal with the challenges that living brings. Life skills help us to move from childhood to adulthood as you learn how to maintain good relationship with the people around you. Lanre Olusola brings years of extensive study spanning the fields of Engineering, Performance Improvement Management, Theology and Human Behavioural Psychology. 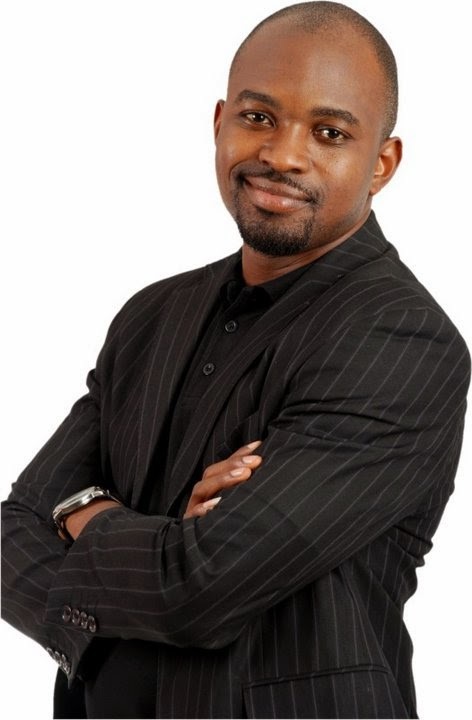 He has been described by many as Peak Performance Catalyst, Life Coach, Psychotherapist, National Development Strategist, and Executive Advisor. He is CRISTIAN Life Coach, Psychologist, Neuro Linguistic Programming and Emotional Freedom Therapy Practitioner. 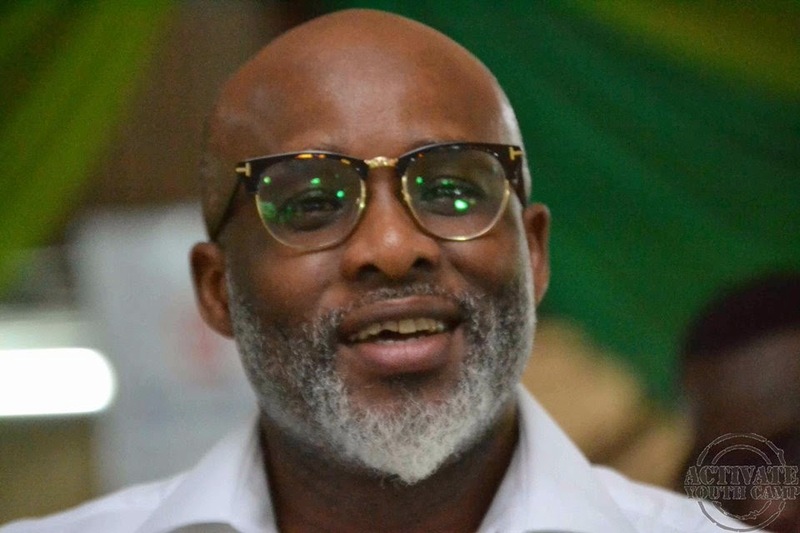 Lanre Olusola is respected Nationally and Internationally for imparting exceptional problem solving, motivational, inspirational, human developmental, leadership and management skills. He has worked extensively with the UK Government through the Department for International Development (DFID), and the Nigerian Government, Various State Governments and Government agencies, and other International Donor Organizations such as The World Bank, and the British Council etc. He is simply known as The Catalyst. I am Chunu Tejiri Jerry but fondly called Teajay and I am your friend. I am a Creative Thinker, Ideas Developer, Brand Strategist, Goals Coach and a lover, life coach & advocate for teenage development with 15 creative years experience. I passionately seek the mental awakening and value re-orientation of the young African. This has led me to reach over 25,000 teens. I serve as the Creative Director at Dotbob Creative Solutions (a brand design & print firm), Creative Head Team at Imaginit Media Resource (a Social Enterprise focused on Teen Education Development & Advocacy) the initiators of StepUp! 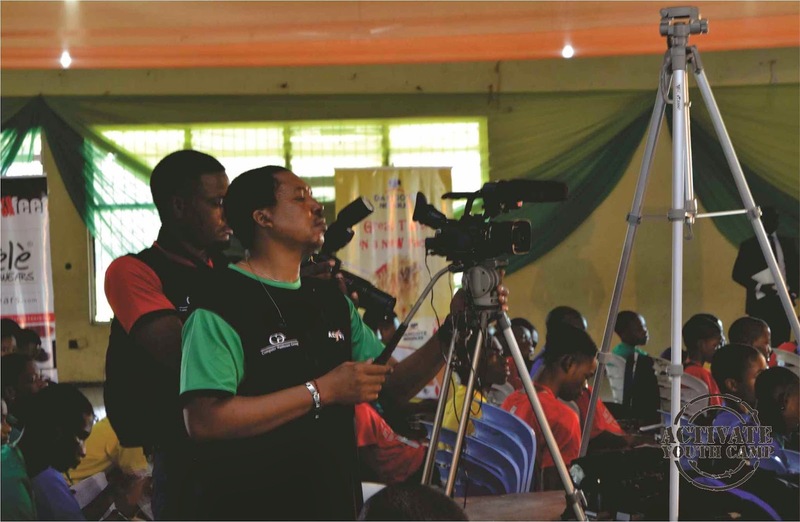 Africa, a Social Change Project that reached 9 states in Nigeria in 2014, aimed at teenage Value Orientation and Skill Activation. 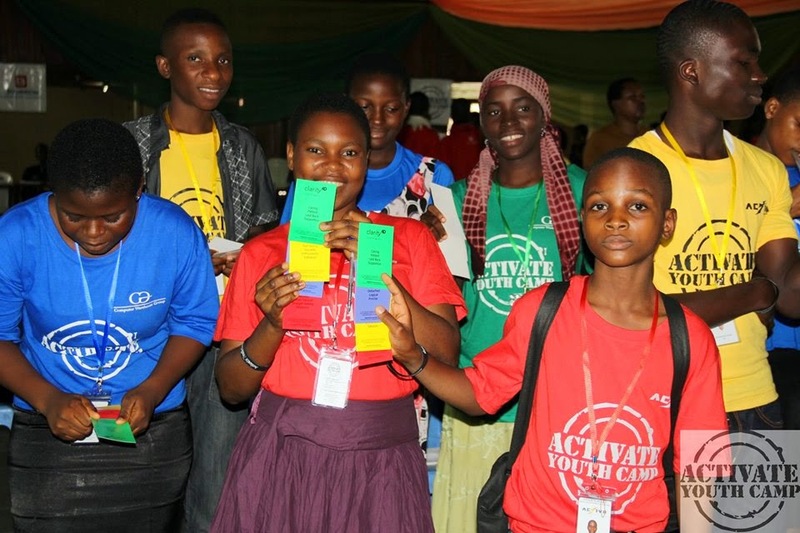 “Activate Youth Camp’’ is a 7-day residential personal development program for students JSS1-SS3. 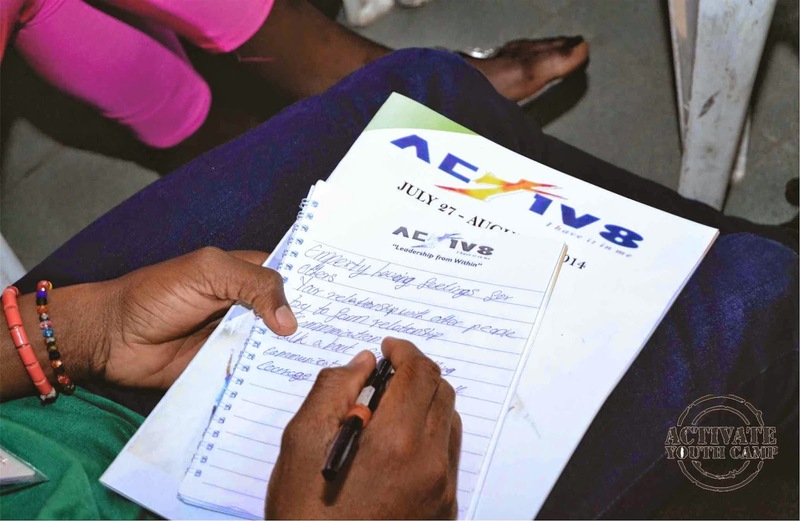 Activate Camp is focused on building support networks for the participants through friendship, trust, self-belief, self-respect, a positive attitude and motivation. The participants will develop and harness methods, tools and crafts to counter the challenges faced by today’s youth. Furthermore, basic personal and social skills necessary to deal with future challenges are acquired. 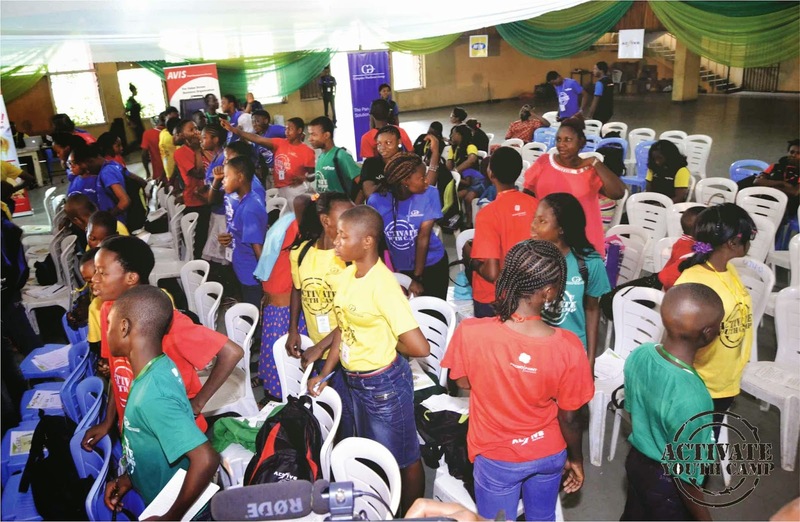 For one week this summer, young, secondary school-aged boys and girls will gather in Lagos for the second edition of the #ActivateYouthCamp hosted by Annie’s Place Child Development Initiative to reinforce a solid foundation for our youth as it is imperative to equip our youths for future leadership roles. 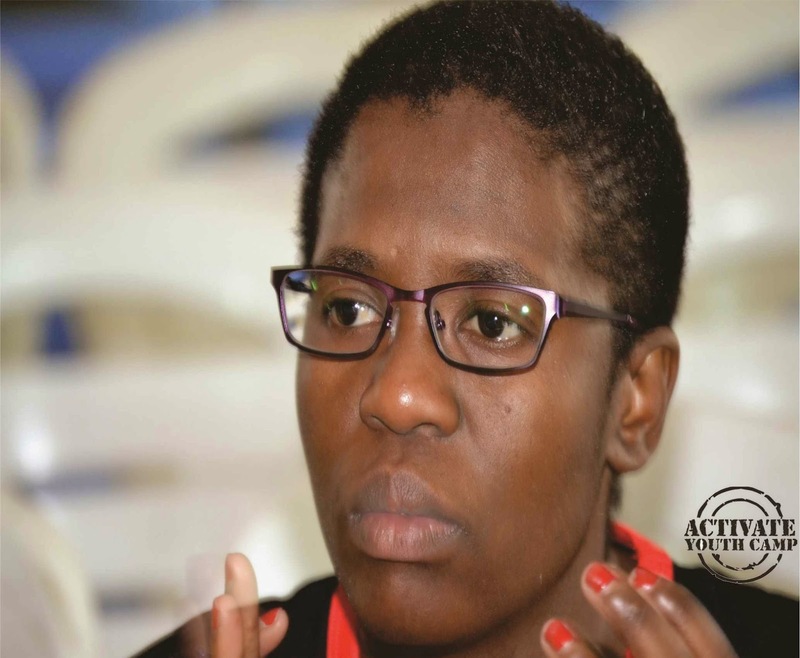 The Activate Youth Camp” is an opportunity for young people to learn about leadership and how they can become better people in an environment of love, friendship and care from seasoned leaders and mentors in the society. 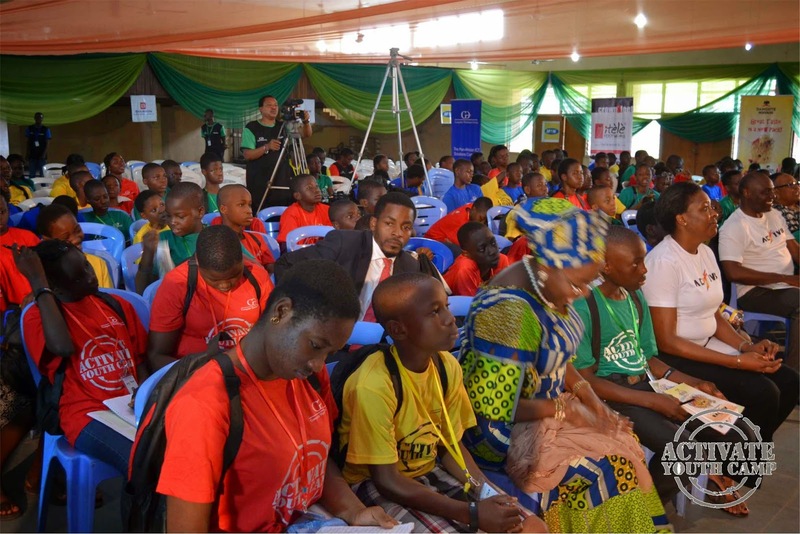 The camp affords young people the best opportunity to develop skills that will be needed in life, especially for those who will soon be graduating from the secondary school. What most young people fail to grasp is that they have a lot to offer to their families and their community and this is caused by negative stereotypes and a lack of good role models. The Activate Youth Camp will help them “step up” to a better life because we believe and are convinced they have it in them. 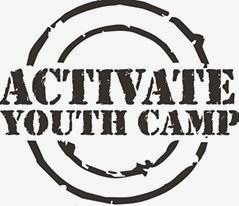 Activate Youth Camp started a year ago with 120 participants and the theme was “I Have It in Me” which also doubles as the motto of the camp. The camp is the brain child of Annie’s Place Child Development Initiative, a national center funded, in part, through grants from well-meaning individuals in the society. 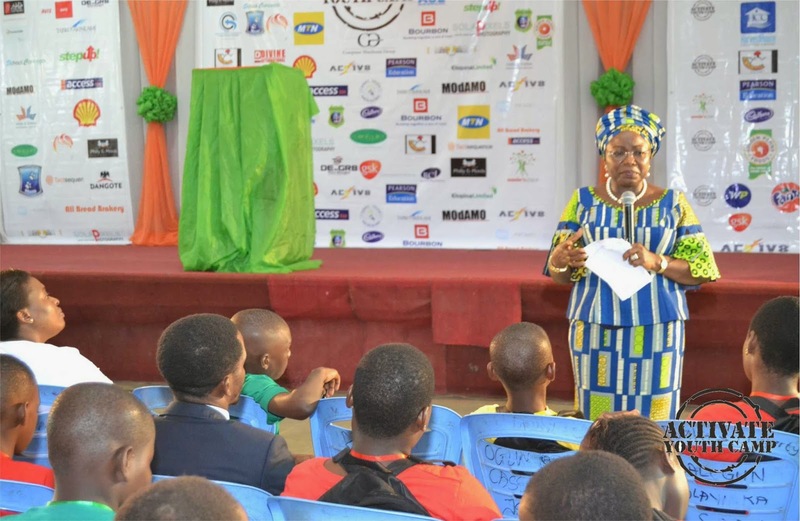 The purpose of the camp is to encourage young people to see the value of the potentials in them and awaken it, and also urge them to prepare now for a rewarding future. 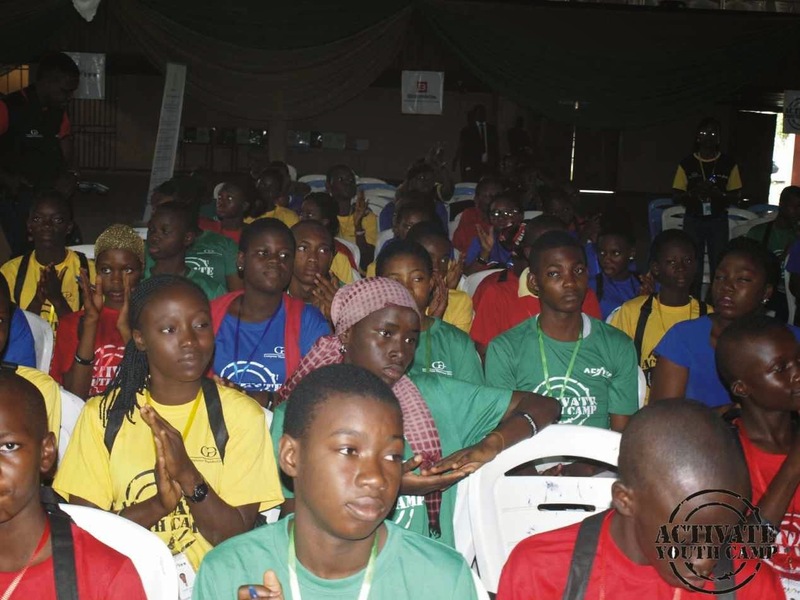 Our second edition will hold between Sunday 27th of July and 2nd of August 2014 during which young people will be equipped with the knowledge and practical experience on Leadership related topics. 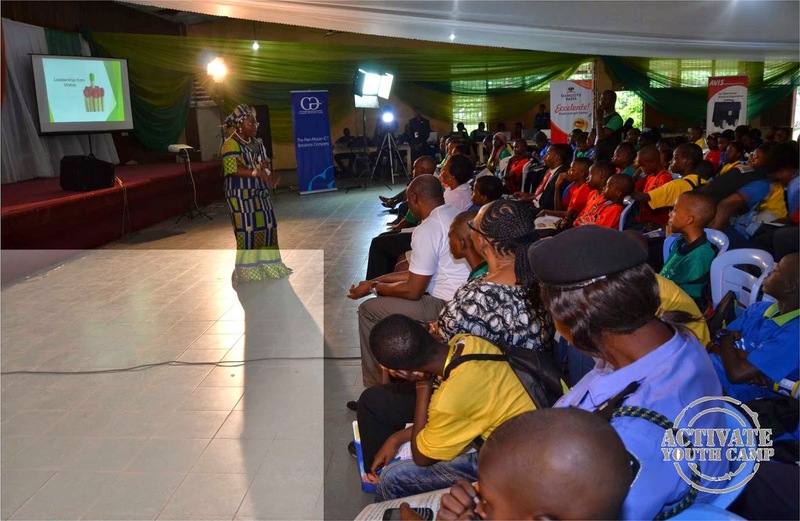 This we believe will help reinforce a solid foundation for our youths, as it is imperative to equip young youths for future roles- OUR FUTURE LEADERS. During these 7 days, the students will participate in team building activities, as well as attend various sessions and presentations on youth related issues and skill acquisition awareness. They will be challenged physically, mentally and emotionally throughout the program. 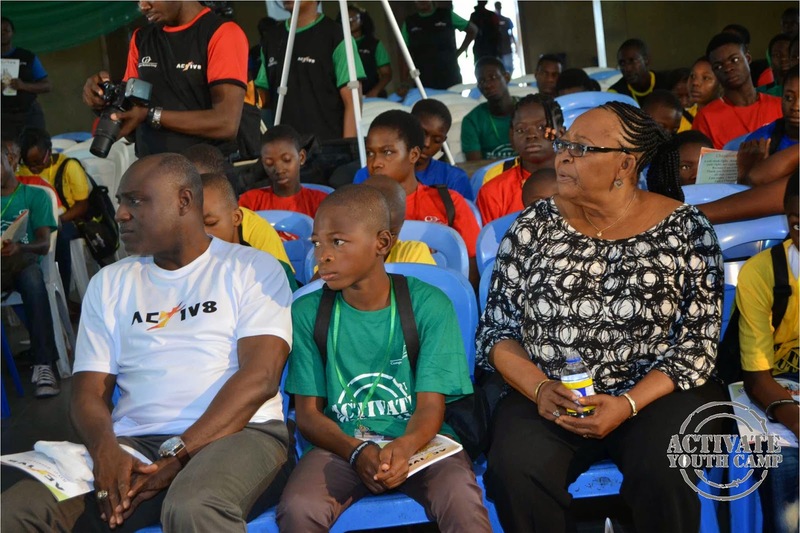 Activate youth Camp will provide its participants with a supportive environment to grow and develop. All participants learn and benefit from the camp in their own unique way. 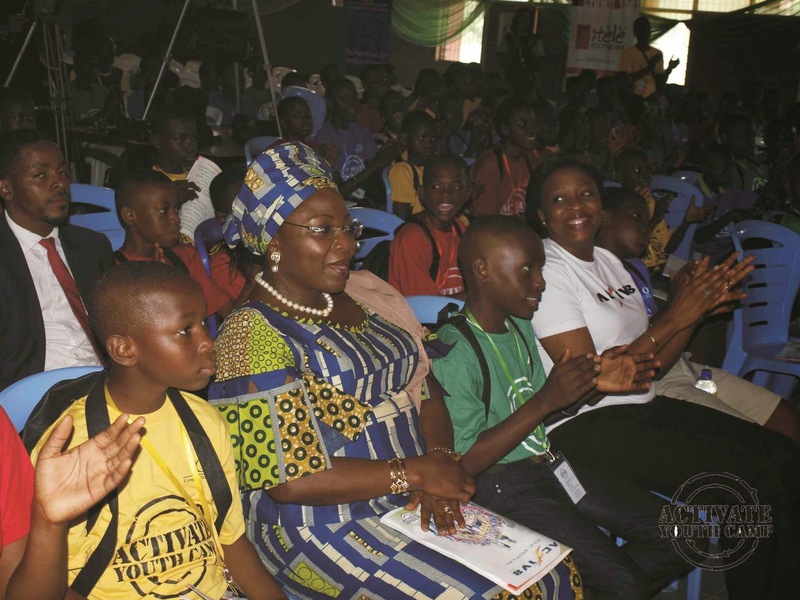 The Activate Youth Camp is targeted towards the children in our public schools but not limited to them.